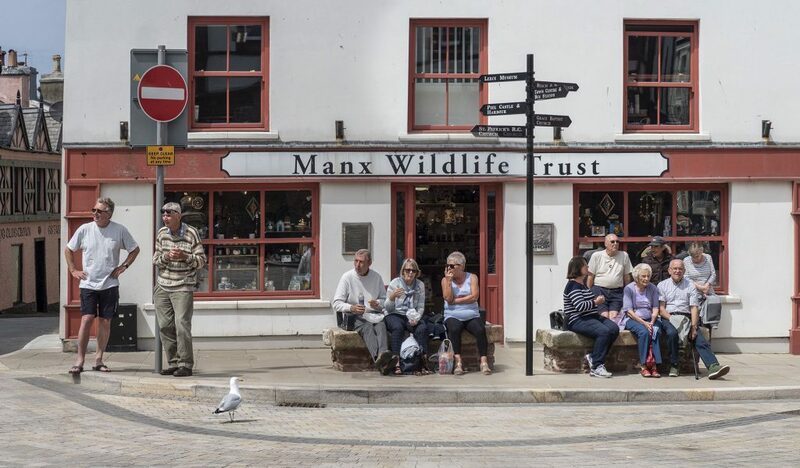 The 40th anniversary exhibition of the Western (IoM) Photographic Society (WPS) is open at the House of Manannan from 2nd February to 12th May 2019. The WPS has chosen to focus on Peel and its community, and are delighted to do so. The exhibition includes some of their best work on Peel. WPS has always met in Peel, but membership is drawn from across the Island and beyond, and represents a wide range of photographic passions, abilities and interests. The images on show date from 1949 to 2018, and all are by current members. Peel has two spectacular panoramas, seen from several viewpoints. 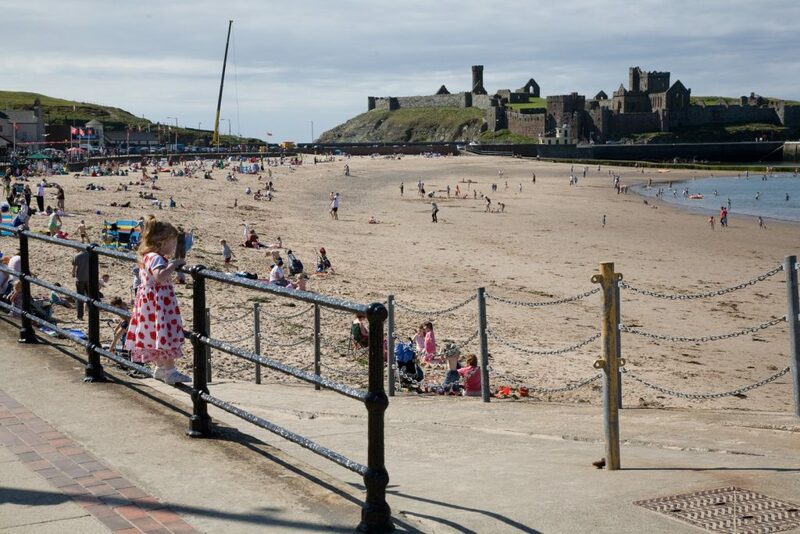 The sweep of castle and beach can be viewed from the promenade and beach, the hill, the headland, and the upper town. The compact older part of the city is best enjoyed from the breakwater, the castle keep, the hill, the upper town and the headlands. Views of the castle have presented popular subjects for artists for at least three hundred years and, as you will see, current WPS members are no exception. 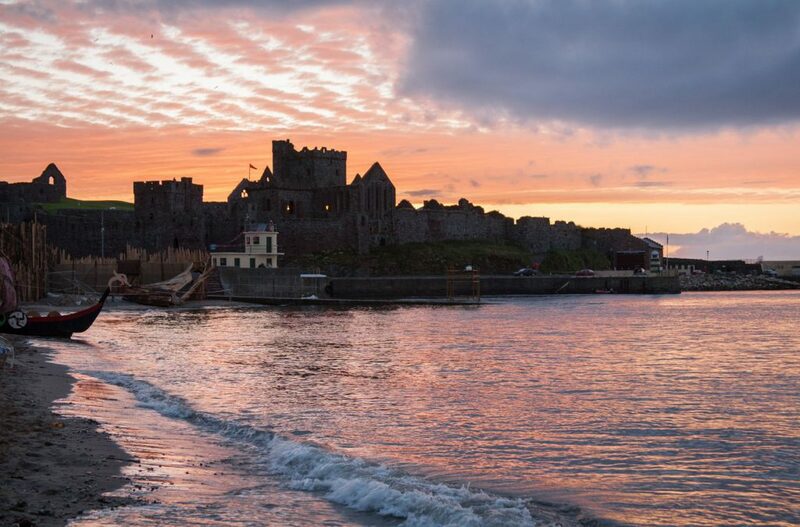 Peel Castle: the warmth of the morning sun, the coolth of the evening, the height of the tide and the detail in the transient cloudscape are all variables that colour our views of the Castle, whilst the stones themselves frame views beyond. Peel is a happening place. There’s the New Year’s Day Dip, the Carnival, Peel Day and the Panto. Also the Viking Longboat Races, Traditional Boat Weekend and Open Air Shakespeare at Peel Castle. The Isle of Man Arts Festival and the Easter Festival of Running come to Peel each year. The Lifeboat is very much part of the community, shown here on an open day, and assisting during the Dip. An institution in Peel, the Dip is an opportunity for the crowds to gather, go mad, and dress up in crazy costumes – whatever the weather! 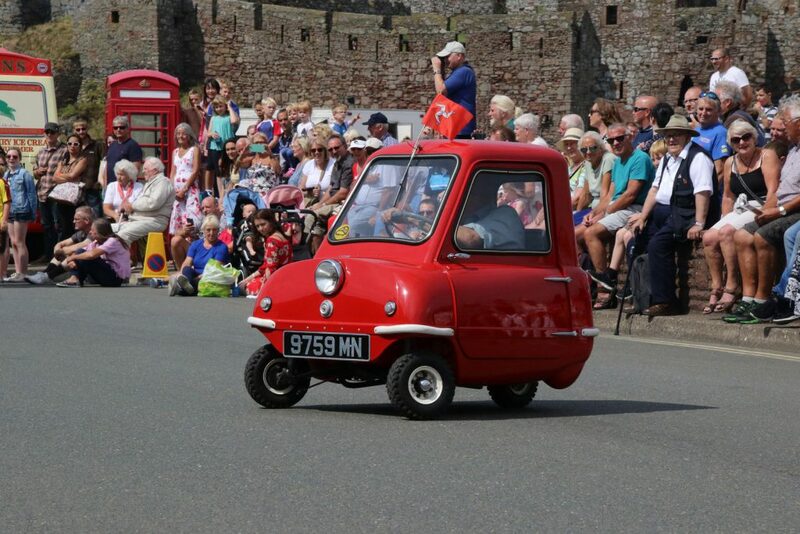 The P50 is a three-wheeled microcar designed by inventors Cyril Cannell and Henry Kissack. 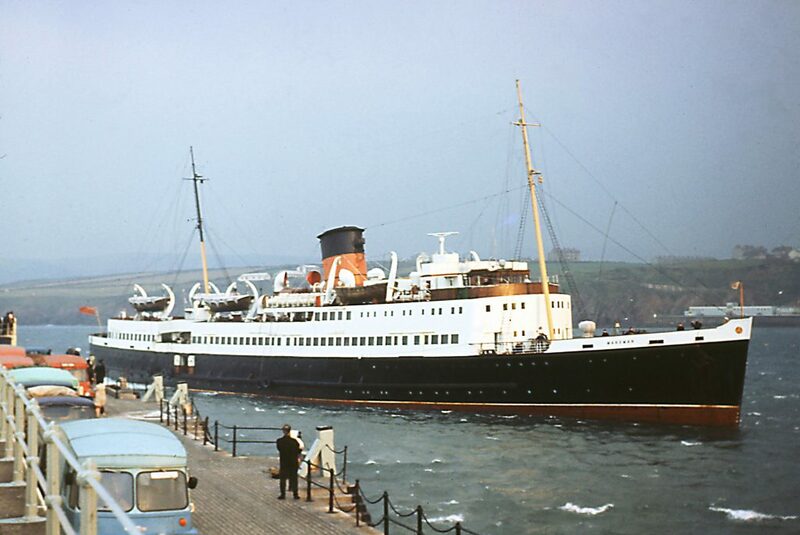 Along with their bubble-topped Trident, it was manufactured here in Peel, from 1962 to 1965 by their Peel Engineering Company. Only two of the original P50s remain on the Island; one is privately owned and the second is on display at The Peel Transport Museum. Sports photography demands fast camera equipment, with minimal lag between the time the button is pressed and the shutter fires – unless, of course, the subject is much more sedate than the TT races. The best sports images showcase the action, the audience, and the setting. Sometimes it pays to treat sports photography as street photography, picking out an unfussy background and waiting for the action to pass by. On other occasions, we wait for dramatic conditions. Water sports in the wind can go from dramatic to scary in seconds. There’s also the need for staged photographs of the participants: the team and the winners. Seeing the beach on a bleak winter’s day, it’s hard to imagine the life and energy it sustains through the rest of the year. Our cameras have recorded the change from open harbour to yacht and leisure craft marina. Fishing boats no longer fill the inner harbour, but Peel remains a busy place. It’s a rare day when there isn’t something interesting to be seen from the breakwater, the Promenade or the harbour area. Images by Stan Basnett (well-known local author of many books on boats, trains and other engineering subjects) record some of the more unusual boats and marine craft that have visited Peel. 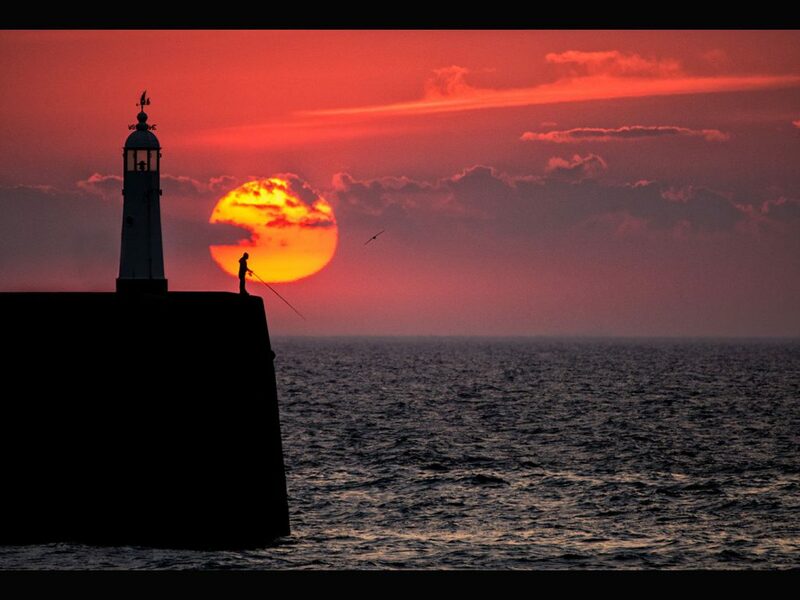 Throughout the year, the setting sun moves from a position behind the hill to north of the breakwater light. On a fine summer’s day, a photographer can vary the composition by moving along the promenade or beach or going up on the hill or the headland, knowing that the sun will be in sight. In winter, a red sun glancing off the cliffs around Fenella Beach can be stunning when the rocks are wet from rain or sea spray. Whatever your equipment, WPS welcomes you. 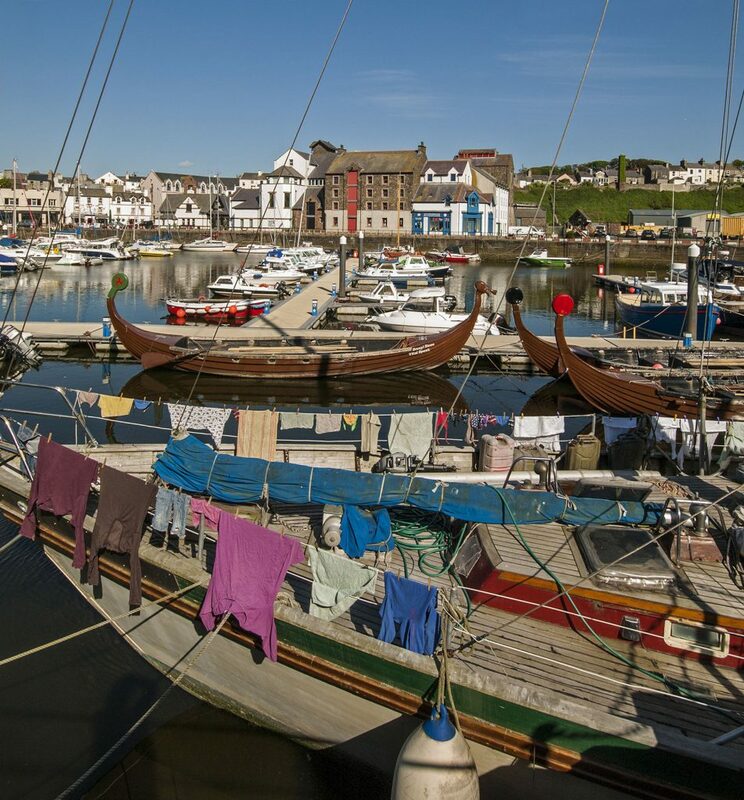 Our Sunset City is a free exhibition at the House of Manannan and is open from 2nd February to 12 May 2019.